Beautifully remodeled Plan 26 Bolsa Landmark Pool home with Sunken conversation pit and Downstairs Bedroom & bath. 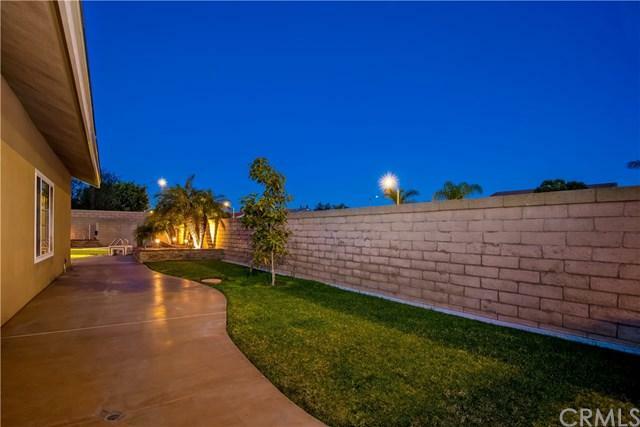 Large corner Lot with privatecourtyard entry, large side yard and huge back yard with sparkling pool & spa. 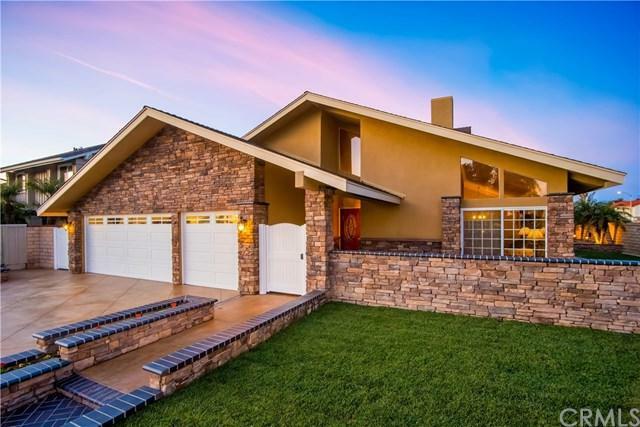 Ledger stone Bar with stainless BBQ make this an Entertainer's Dream.Kitchen is remodeled with exceptional cabinetry, granite counters, stainless appliances, 5 burner gas range, double ovens, microwave and opens onto a large family room with 1 of 3 Fireplaces. Soaring cathedral ceilings and breathtaking wood and wrought iron staircase. Gorgeous wood floors downstairs. Upstairs Master suite with remodeled bath, mirror wardrobes, designer carpet and 2nd fireplace. All baths remodeled with new cabinets, cast iron tubs, granite counters, stone like tile showers, surrounds and clear glass doors. Vinyl clad dual pane doors and windows. 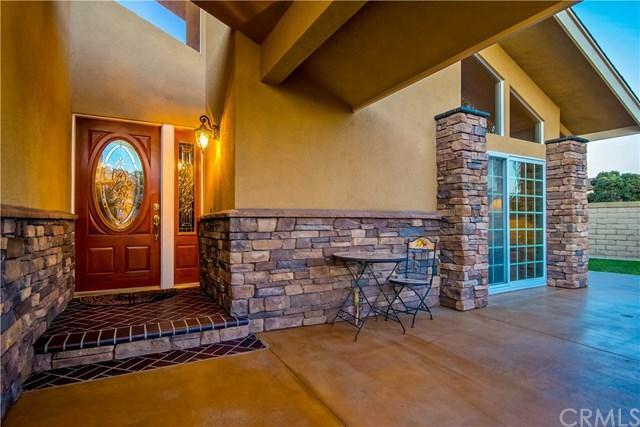 Smooth ceilings, Crown molding, Recess lighting & 3 car garage. Water softener, New Heater & A/C with HEPA filter. Wired with CAT6. Low voltage lighting system in yard. Auto sprinklers, HASS avocado tree. Newly landscaped. Master deck is acrylic. Boxed eaves and Custom stonework on Front exterior. Remodel completed in 2014. Copper plumbing throughout. Too many features to mention. Sold by Micah Stovall of Seven Gables Real Estate.